On Wednesday, 5 September 2018 the Association of the United States Army, Texas Capital Area Chapter hosted its general membership meeting at Camp Mabry, Austin, Texas. This meeting was the first opportunity for our chapter to learn more about the recently established US Army Futures Command in Austin, Texas. Our guest speaker was COL Patrick R. Seiber, Director of Communications for Army Futures Command. The meeting was well attended with more than 200 personnel attending this important event. Chapter members, Senior Texas Army National Guard leaders, community partners and business leaders, academic representatives from local universities, and veterans groups were in attendance. 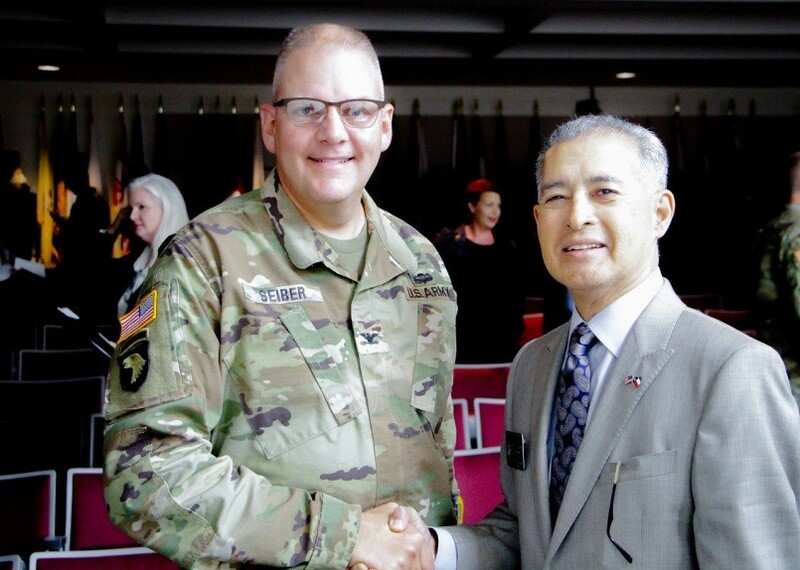 COL Patrick R. Seiber, Director Communications, AFC and MSG (Ret) Gerardo Soto, President Texas Capital Area Chapter, at 5 September 2018 meeting. 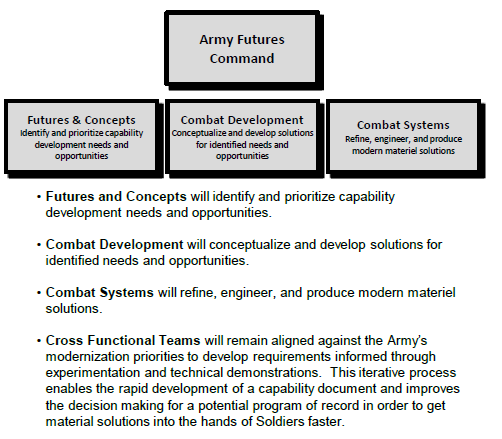 COL Seiber provided a handout to support his discussion which outlined the organizational structure of Army Futures Command. Mission: Army Futures Command will provide our Soldiers the weapons and equipment they need, when they need them, to ensure clear overmatch and success on future battlefields. To conclude his presentation, COL Seiber held a question and answer period which was well received and allowed those present to obtain additional information about Army Futures Command. After his remarks, Chapter President Gerardo Soto presented COL Seiber with a chapter certificate of appreciation and Texas Capital Area Chapter coin. It was also a pleasure for our chapter to recognize our newest Community Partner. Our newest Community Partner is Northrop Grumman Mission Systems. We are extremely happy to have this exceptional organization as a Community Partner. Representing Northrop Grumman Mission Systems was Ms. Katherine Kage. Chapter President MSG (Ret) Soto presented Ms. Kage with a certificate and Texas Capital Area Chapter coin. We look forward to an outstanding relationship with Northrop Grumman Mission Systems. 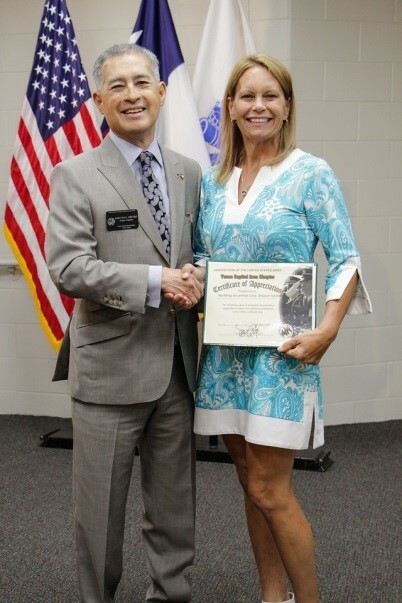 Chapter President, MSG (Ret) Soto presents Community Partner Certificate to Ms. Katherine Kage from Northrop Grumman Mission Systems. After the completion of our speakers remarks and awards the Texas Capital Area Meeting was adjourned at 1245 hours. Our next meeting is scheduled for 5 December 2018 where we will celebrate the National Guard Birthday and receive a presentation on the future operations and structure of the Texas Army National Guard. AUSA’s Texas Capital Area Chapter is excited to be the home chapter for Army Futures Command and look forward to many years of friendship and partnership in support of the soldiers and families of the United States Army.